I am currently streaming WWOZ, New Orleans Jazz radio, and have the Parade Cam streaming on a different computer, that is facing me. I have my beads on and there are Mardi Gras color streamers up. 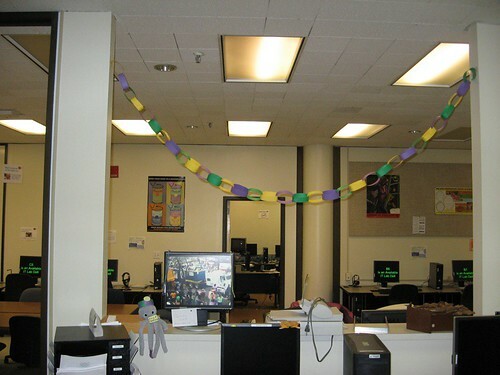 We're having a festive Mardi Gras at the Lab!